Born in Santa Maria da Feira, Portugal. 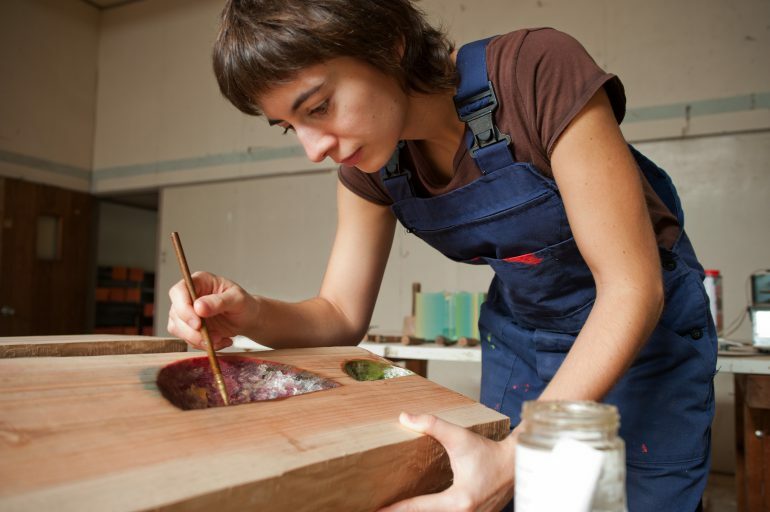 She attended the Fine Art degree course at Fine Arts Faculty of Porto University in 2005. 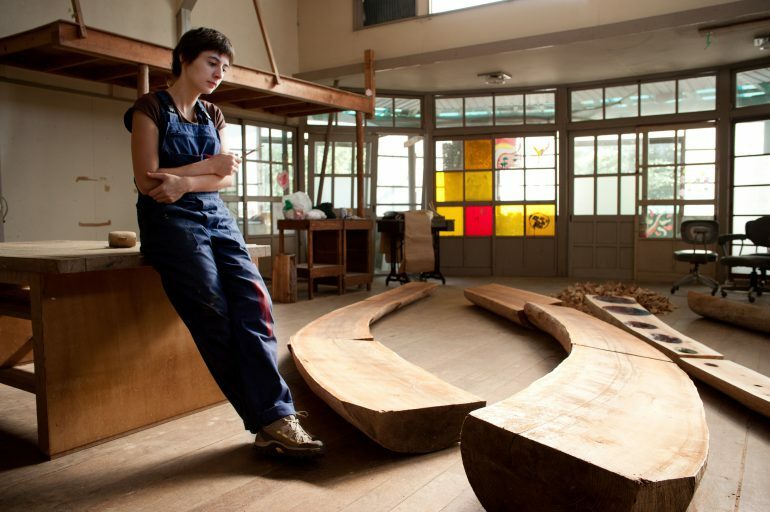 She has been working as sculptress, art producer, art and music teacher. 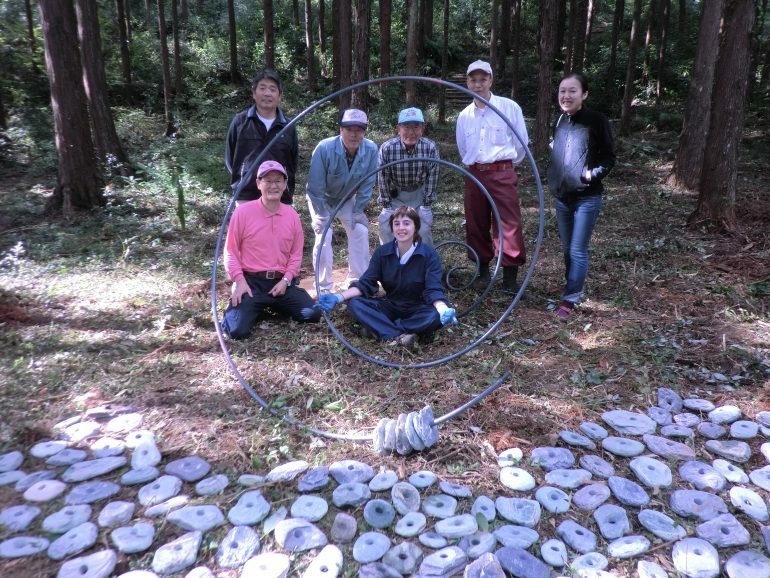 She is professionally involved in artistic projects within different backgrounds – Community Art, Land Art and Art therapy – in Portugal and international residencies. Spatial and temporal displacement created by the moon cycle sculpted in the sugi trunks. This visual rhythm roams the pathway between the two Torii of the temple like a nocturne progression within different shapes and sizes. The pathway becomes a moment of introspection: the moon dialogues with the passengers, receives them and prepares to pray. 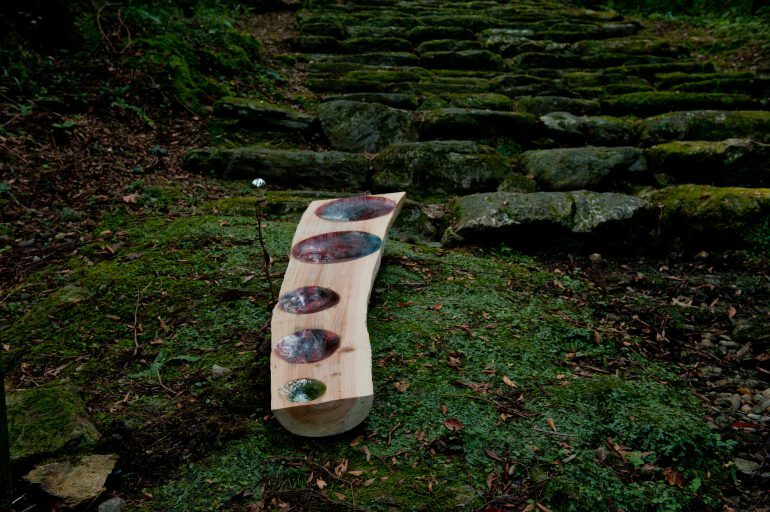 Spatial and temporal displacement created by the stream sculpted in the sugi trunks. 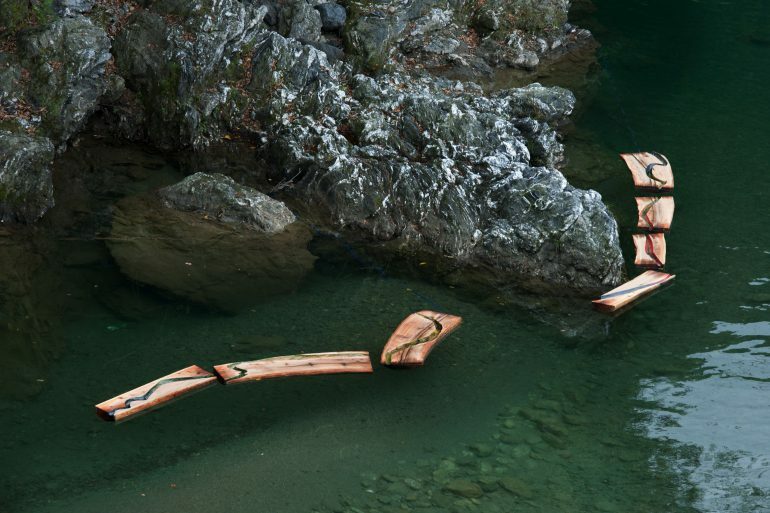 Taking the shape of Akui river stream, this visual rhythm covers the trunks in a wavy and fluid movement. 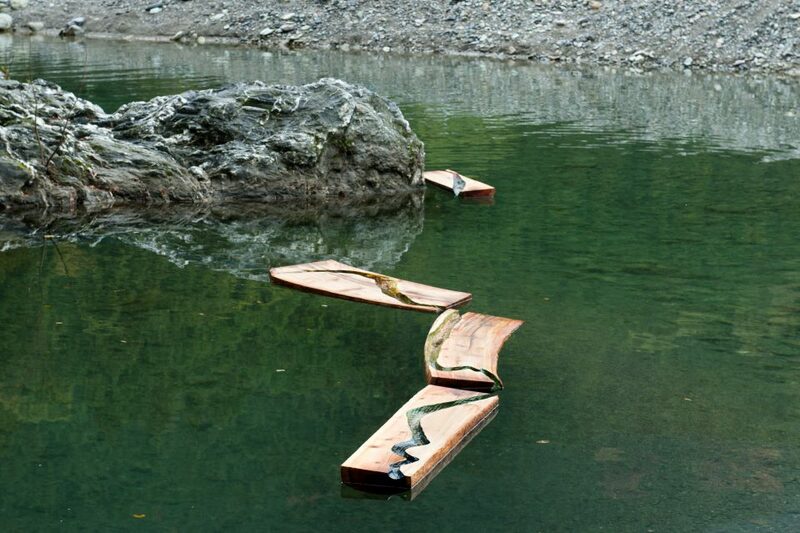 When floating, the river involves the trunks in a new direction and gives a new life to it. 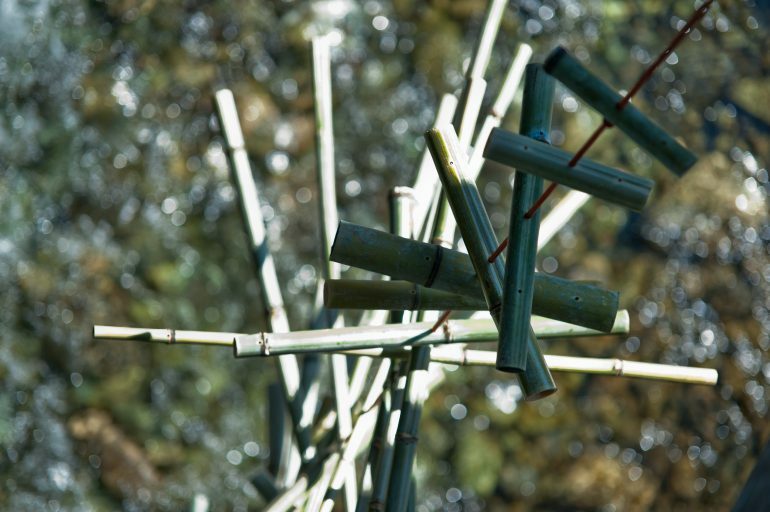 Spatial and temporal displacement created by the vertical progression of bamboos hanged in the bridge. This visual rhythm dialogues with the river, the wind and the rain, smoothing the transition between the river margins: the greener margin and the rocky margin. The mobile is a musical body.